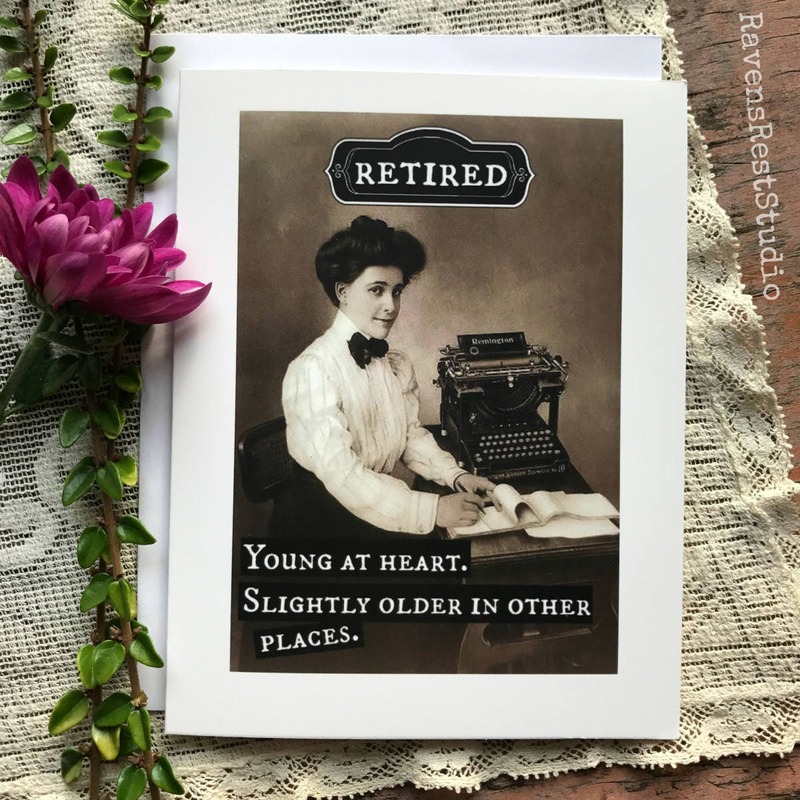 Retirement Card. Greeting Card. Vintage Photo Card. Vintage Secretary. Retired Young at Heart. Slightly Older in Other Places. 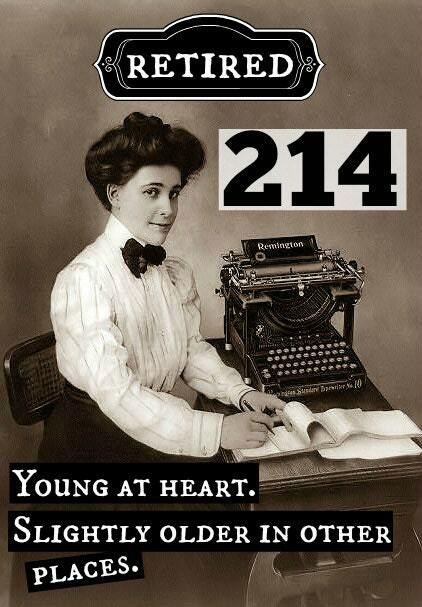 Card #214. 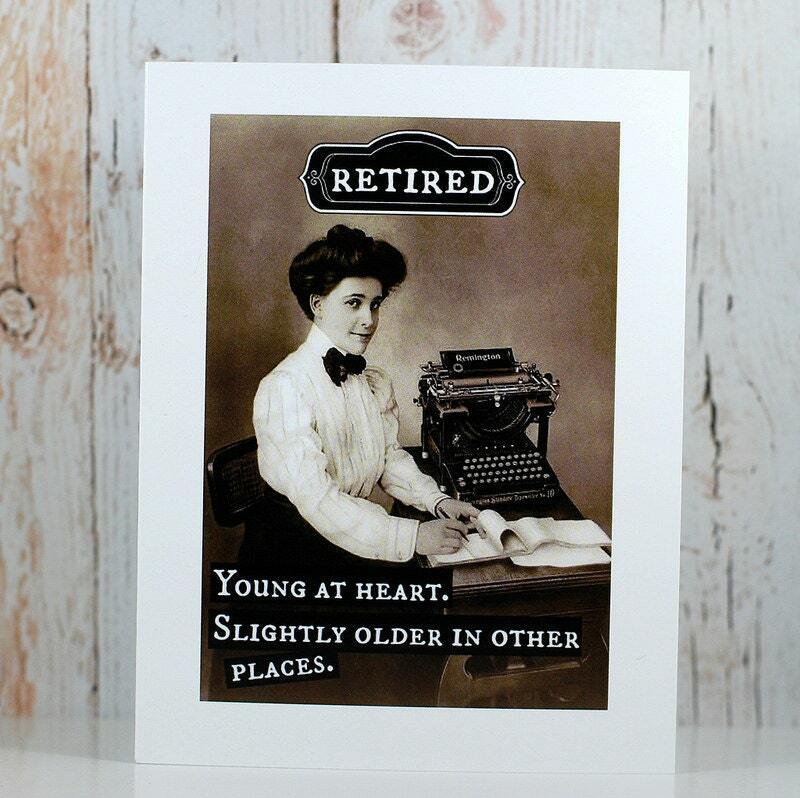 This card features a woman sitting at her desk and reads: "RETIRED - Young at heart. Slightly older in other places." recipient loved this card. so cute.